Step aside, Chad Ochocinco, there’s a new name-changing athlete all up in the game. TMZ broke the story last night, kindly alerting us to the fact that Los Angeles Lakers’ Ron Artest has changed his name to Metta World Peace. I don’t mean to imply that Ron Artest / Metta WorldPeace is a toolbag, it just happened to fit nicely, for the purpose of providing an example. Actually, Metta-Ron seems like a pretty cool guy, and even told TMZ that part of the reason he changed his name was for “star power”. Thanks for being truthful, Metta, we are now one step closer to world peace. What Does Metta World Peace Mean? 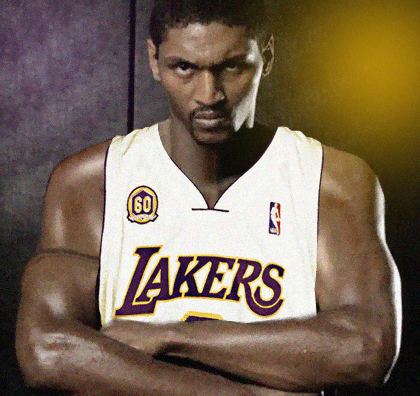 All I have to say is, Metta betta buy up his old jerseys right quick! That way, they’ll be considered “collector’s items,” and not just pieces of crap. Something to note: Metta WorldPeace’s wife and kids will not be changing their names.